Kernow Fires are suppliers of the Dru Global 100 Corner BF / Dru Global 120 corner BF in Cornwall. 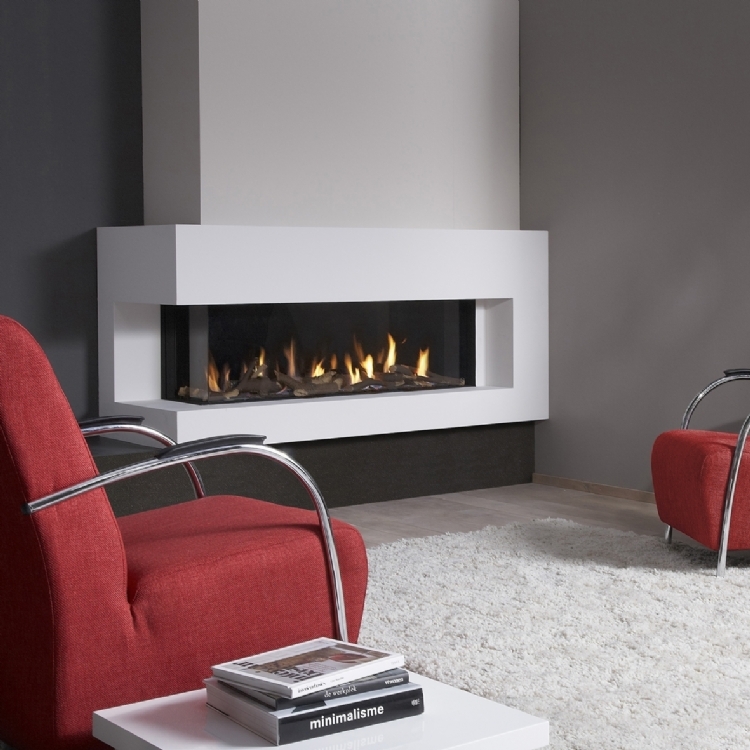 The minimal built-in depth from 36 cm makes it easy to install the Global Fires gas fires in any interior. 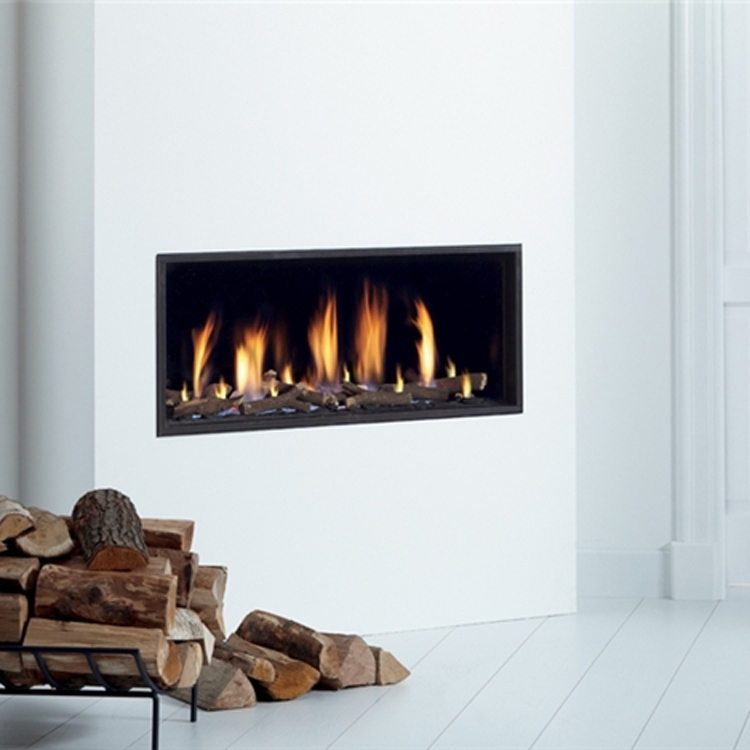 The Global 100 Corner is characterised by a wide panoramic fire display at the front and an open side on the left or right, so that you can enjoy the fire on two different sides. 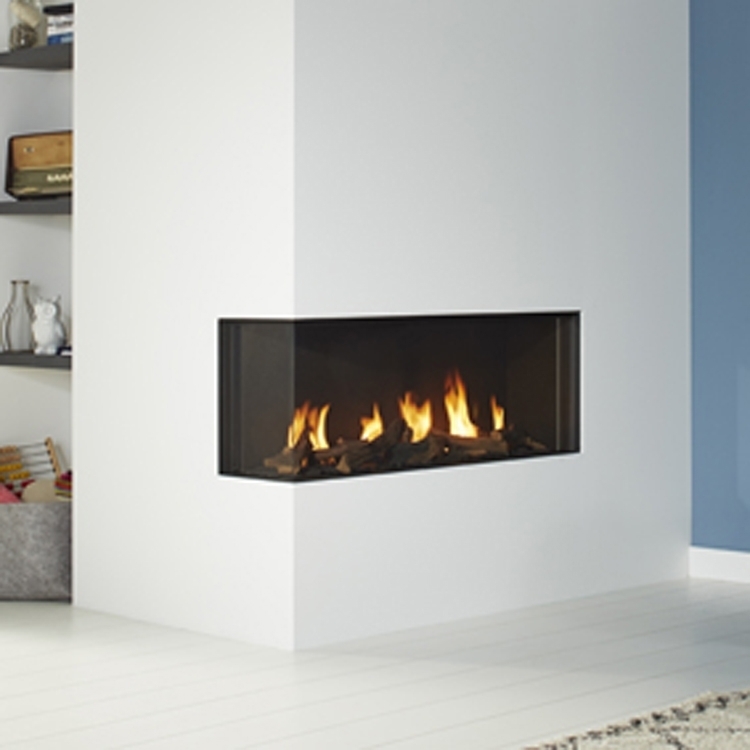 The Global 100 has minimal frames and a 42 cm high glass window. You can put your own Global Fires gas fire together yourself. Its "real life" wooden logs give the burner bed a classic look. 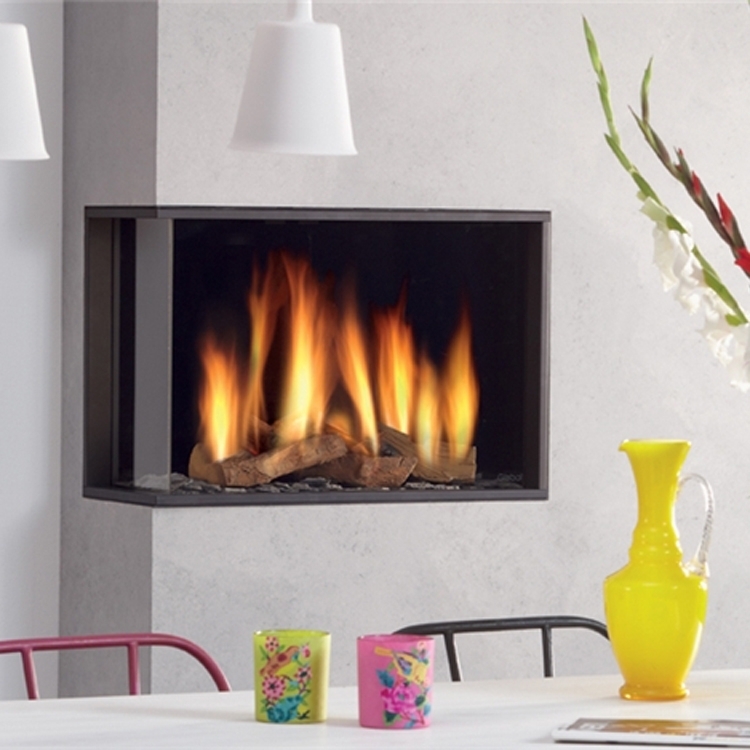 Glass, anthracite or white pebbles ensure a functional and contemporary look & feel. The interior cladding can be finished with Smooth Black or mirror-finish Cera glass.